For as long as humanity has existed, there have been those skilled in the occult arts. Such individuals are capable of transforming the self, perceiving the subtle aspect of existence, and affecting reality via nonphysical means. In every culture, across every era, shamans, magi, mystics, and seers have refined their arts. This has produced a rich and varied collection of magickal techniques and rituals. 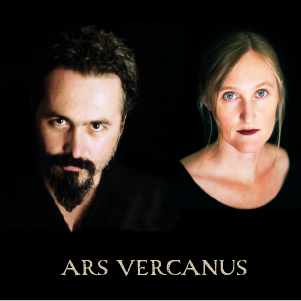 Ars Vercanus presents a comprehensive system of core magickal techniques and theories distilled from an in-depth cross-cultural analysis of various magickal traditions. The theories of Vercanus Magick impart a deep understanding of how magick actually works. Vercanus techniques clearly delineate methods by which magick may be effectively performed. This style of magick entails a profound shifting of consciousness, facilitating an enhanced perception of reality. Through this expanded consciousness the practitioner perceives the deeper aspects of reality within which magick occurs. The Techniques of Vercanus Magick entail the mastering of consciousness and internal energies. This mastery induces a profound transformation in the magus. Thus transformed, the magus is capable of shaping reality at its deepest level. A philosopher, magus, mystic, and scholar, Vasilios Wennergren has immersed himself in an extensive anthropological study of the mystic, shamanic, and magickal practices of various cultures and traditions. This occult research and experimentation has spanned over 20 years and ranged from working with rainforest healers, to training in Eastern martial arts and mysticism. Vasilios has conducted an in-depth study of the philosophical, sacred, and arcane texts of humanity’s rich magickal heritage. He has drawn upon this body of knowledge and his own intensive practice of ritual magick to distill core techniques and concepts from the corpus of cross-cultural mystic and magickal practices. Vasilios is inspired by the natural beauty of Santa Barbara, California, where he resides with his wife Lynn and his son. © 2013 Vasilios Wennergren ALL RIGHTS RESERVED. This website contains material protected under International and Federal Copyright Laws and Treaties. Any unauthorized use of this material is prohibited. No part of this material may be reproduced or transmitted in any form or by any means whatsoever without the express written permission of the author or publisher except for the use of brief quotations in a book review. 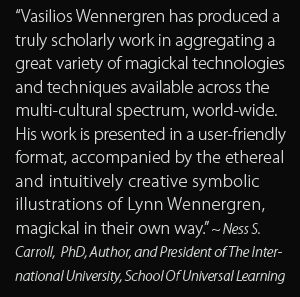 I have recently purchased “Ars Vercanus: Advanced Magickal Techniques” by Vasilios Wennergren. I am only a couple of chapters in, but I have found the book to be well written, intelligent and useful. I am a magician who started on my path via traditional witchcraft in 1983, and moved towards primarily magical practices over the years, much of it in the tradition of Franze Bardon mixed with some of the ideas from Max Freedom Long’s style of Huna. In my opinion, Mr Wennergren’s book would be a welcome addition to the library of any magician, occultist or pagan who has learned some of the fundamentals of energy work and magic, and who has a certain level of discipline over their mind and emotions. Buy the book – it is worth it!